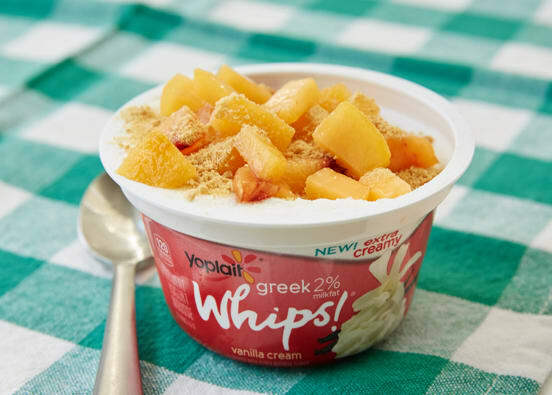 Top yogurt with diced peaches and crushed graham cracker. Serve immediately. Swap frozen (thawed) peaches for the fresh peaches. Swap honey graham cracker for the cinnamon graham cracker, if desired.